Two assassins. One little problem…Finding dirt on politicians is usually easy, but Congressman Clements is more careful than most. Never one to back away from a challenge, devious Diamond enlists her old friend Snow in a scheme to catch their target in a compromising position. But the world of espionage rarely runs smoothly. 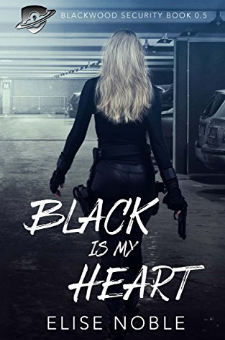 Diamond soon finds herself stuck in an awkward position as she battles to save the job and fights her feelings for the man she loves.Black is my Heart is a prequel to both the Blackwood Security and Blackwood Elements series of romantic thrillers. Diamond and Snow’s stories are available in full right now.